There are always two sides to every story. Such a statement has never been more true when determining the causes of Vancouver’s surging home prices. Is it supply and demand? Or is it speculation? I have my theories, but theories are, well, theories. I believe Vancouver real estate prices are heavily encouraged by massive amounts of speculation. People, not just investors are trading Vancouver real estate like it’s a cheap penny stock. Buying and flipping properties within a short period of time, sometimes as short as a month or two, cashing in on massive profits. But I know talk is cheap and numbers matter, I needed evidence to prove Vancouver real estate speculation. 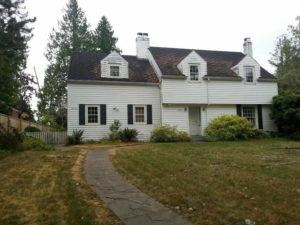 Here’s a good example of a home in South Granville, marketed as a tear down, bought and sold 4 different times over the past 2 years. No changes made to the home. 6712 Adera Street sold 4 times in 2 years. These are staggering numbers. Over 15% of homes were flipped in the month of May, having been purchased within the last year for an average profit over $1 million. For every house that sold in May (179) I searched the tax history to see if the home had transferred hands within the past year. Homes that sold before May 2015 were not included. Average profit made was determined by adding up the total price of the 28 homes sold in May of 2016 and subtracting that number from the previous sales price of the 28 homes. Then I divided that number by 28. Although this may not be the most accurate number it does give us an ‘average.’ Given that Vancouver West detached home prices have risen by 34.7% over the past year, according to stats provided by REBGV, then the $1,140,957.83 average would make sense. I also made sure to go back and look through the listing photos of the past 28 sales to see if any substantial upgrades or renovations were done to these homes. As I had suspected, none of these homes appeared to have any noticeable upgrades. At least none that I could detect by comparing photos. Based on the evidence, to dismiss Vancouver real estate speculation as not playing a key role in surging home values would be ignorant. There are certainly many factors influencing the Vancouver real estate market, speculation is definitely one of them.